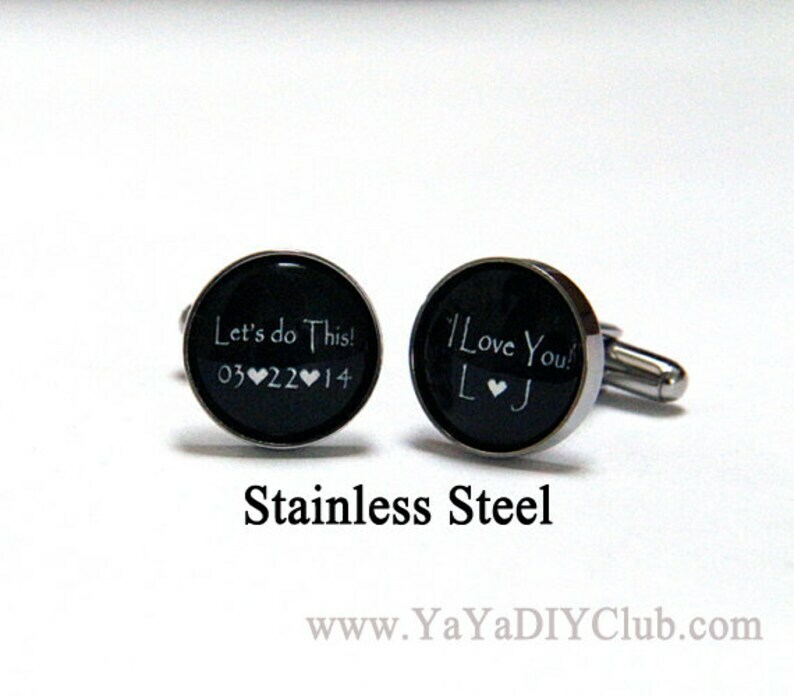 Custom Personalized Cufflinks - Personalized Groom Gift from Bride in Custom wordings and Colors as desired. Cufflinks that I bought for my husband turned out amazing. Very happy with the final product.